Dave and Hunter Harrigan (pictured here) are the father-and-son team who run Harrigan Land Company. Based in Colorado, the two cover a far-ranging territory that includes Wyoming, Utah, New Mexico, and Oklahoma. 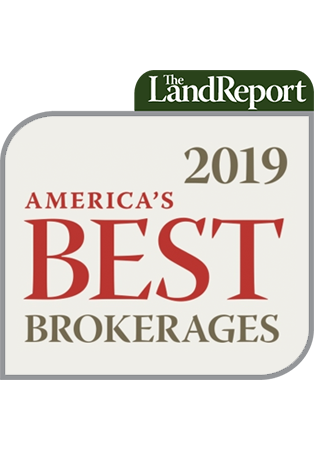 Last week The Land Report caught up with Harrigans en route from their Colorado headquarters to Southwest New Mexico, where they have the listing on the $25 million Southern Cross Ranch, one of the finest elk hunting properties in the Lower 48. “We’ve been real lucky these last few years. We specialize in elk hunting. That’s what we enjoy doing. That and fly-fishing. We only list ranches that we like, ones with big bulls and trout fisheries,” Hunter says. A recent trend that Dave singles out is the focus by buyers on large parcels at low per-acre prices. “When you start putting big elk into the picture, if the price per acre seems reasonable, you get bigger bang for your buck. Plus, it’s a great place for people to park some money,” he says. Hunter concurs. “Larger recreational ranches at a low price-per-acre is the trend we’re seeing. Like the Mangas Ranch. We just closed on it – 12,000 deeded and 60,000 leased – and it’s right next to the Southern Cross in Southwest New Mexico. 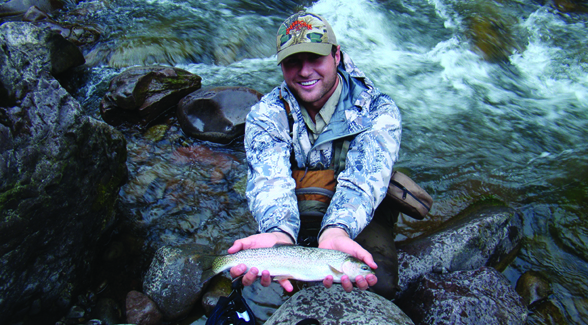 What Attracts Clients:“We deal only in larger fly-fishing and elk-hunting properties,” says Hunter.